North American Coalbed Methane Forum - Society for Mining, Metallurgy & Exploration Inc.
Natural gas well stability near active longwall mining. 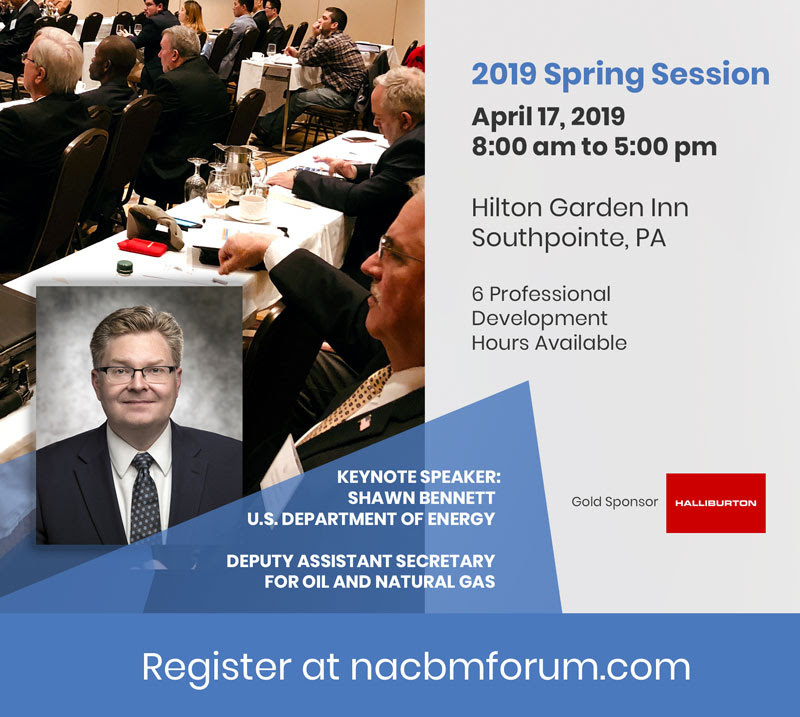 The North American Coalbed Methane Forum’s mission is to provide educational seminars that focus on mine safety, production, research and technology for Coalbed Methane. Our forum is a nonprofit that provides funding so university students may attend free of charge under a sponsorship. Our educational brick program represents building a foundation for our future energy leaders. With a donation of $500.00 we are able to continue to have university students attend as our guests at our annual conference. Please contact nacbmf@gmail.com to sponsor this program. If you are traveling from out of town, please visit our conference page to find hotels in the area. We also have a discounted rate at the Hilton Garden Inn Southpointe, if you attend the event. Please mention to the hotel that you are attending the session.